Queso Dip, made by combining Velveeta Cheese and canned Rotel tomatoes looked great on the television commercial. In fact, the ad convinced my husband and me that we should purchase the ingredients and serve along with chips for dinner. And that first bite was amazing. But the problem with Velveeta is that no one actually knows what it is. The only thing everyone agrees about it is that it is no way related to actual cheese. Reading the nutrition information won’t help identify its contents. So don’t bother trying. Whatever Velveeta is made from, it reverts to solid form as soon as it cools. So I can only guess what it does when it enters the human body. But I’m convinced it gains considerable mass and volume when it hits the stomach because, after only a few bites of the concoction, I felt like I had swallowed a bowling ball. I share this cautionary tale because it demonstrates a phenomenon that advertising executives have long understood. Even though “objects at rest tend to stay at rest,” effective marketing can overcome Newton’s First Law of Motion by persuading prospective customers to get off of the couch, drive to the grocery store and spend money…even at the risk of making themselves sick. So if your company could benefit from more business, stop sitting on the sidelines complaining about the game. While it is true the economy is basically in the toilet, people have never stopped spending money. They still need shelter, food and entertainment. Engaged couples still marry. Pregnant women still give birth. Employed individuals still take vacations. Americans spend an average of $16,895 on housing for every consumer unit (family) every year. We spend approximately $6,372 a year per person on food. According to Top Stock Analysts, the “average” American household spends more than $8,000 a year on goods and services it does not actually need. Market research done for the wedding industry reveals the average amount of money spent on a wedding in the U.S. in 2011 was $18,859. Wise Geek reports the estimated cost to raise a child from birth to the age of 18 is $200,000-$250,000 (not including college). Nevertheless, in 2012 in the United States, as of 3:30 PST on January 29, a total of 4,797,000 babies were born. In 2011, Americans spent an average $2,000 per family on vacations. Whatever your product or service, someone somewhere is spending money on it. The trick is to find out where they are and convince them to spend their money with you. And you can do this regardless of your budget. While you need a substantial advertising budget to run television promos like the manufacturers of RoTel or Velveeta, you can employ Newton’s Second Law of Motion (“Every object in a state of uniform motion tends to remain in that state of motion unless an external force is applied to it.”) even if you have no money whatsoever to spend on marketing. You just have to be willing to do some research and pound the pavement yourself to convince people they should take action. Start by asking your best customers what they like to do and where they spend their time. Try not to pry. But don’t be afraid to get to know them. If you can figure out what current clients have in common, you won’t have to waste your time advertising to the wrong market. One of my clients wanted to start a cable television campaign. But rudimentary research revealed that none of his buyers watched public access TV. If your advertising budget is limited, hone in on areas you can target on the cheap. You might be surprised to discover that guerrilla marketing techniques like standing at the right intersection holding a sign can generate more leads than a sophisticated, expensive campaign in the wrong location. Once you’ve done the research, make the most of your money. Instead of creating an amateurish banner, leave artwork and production to professionals. If you must, you can cut costs by handing the sign yourself instead of hiring someone to handle the grunt work, but don’t make the costly mistake of hiring an amateur for design; your reputation depends on keeping a professional and consistent image in your marketing. Find someone to partner with whose product or service compliments your own. 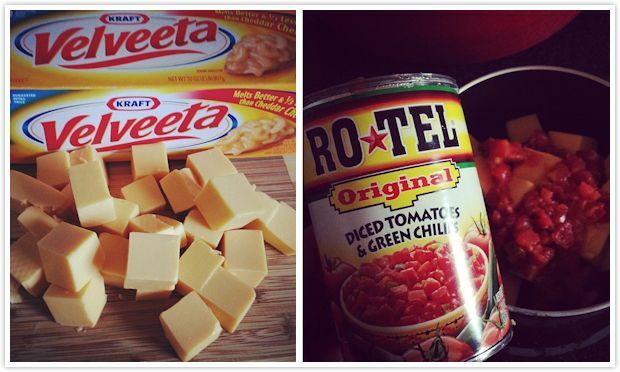 ConAgra Foods (which owns RoTel) and Kraft (which owns Velveeta) increased market share and decreased advertising outlay when they came up with a joint marketing venture. Granted, Queso Dip can make you sick. But, as everyone knows: “For every action, there is an equal and opposite reaction.” So at least the companies figured out a way to put Newton’s Third Law of Motion in action.